Seventy years together is a rare and amazing accomplishment. If you know a couple who is getting ready to celebrate a seventieth wedding anniversary, then you may be witnessing a small part of history. Couples who got married extremely young have a better chance of making it to the seventieth anniversary year. Traditional gifts for a seventieth wedding anniversary center around diamonds and platinum. However, a couple celebrating seventy years "are probably not really interested in gaining more material things. At this stage in life many are downsizing," writes The Wedding Anniversary Site. So do not be afraid to provide a gift that is a spin on the traditional. Diamond jewelry--such as a necklace, earrings or pendant--makes a lovely seventieth anniversary gift for a woman. But buy diamonds only if you have the budget and if the wife really cares about diamond jewelry. The reality is that the jewelry may soon become part of a family heirloom collection, considering the ages of the couple. An alternative to diamond jewelry is sapphire or smoky quartz jewelry. It likely will be less expensive and still makes a beautiful, special gift. Consider a scarf that complements a sapphire pendant or a matching earring and bracelet set. For the couple who already has everything and does not want to add more to their household, consider cooking a meal for the couple, offers The Wedding Anniversary Site. A couple who is celebrating a seventieth anniversary probably does not drive and probably does not like to leave their house or nursing home facility. 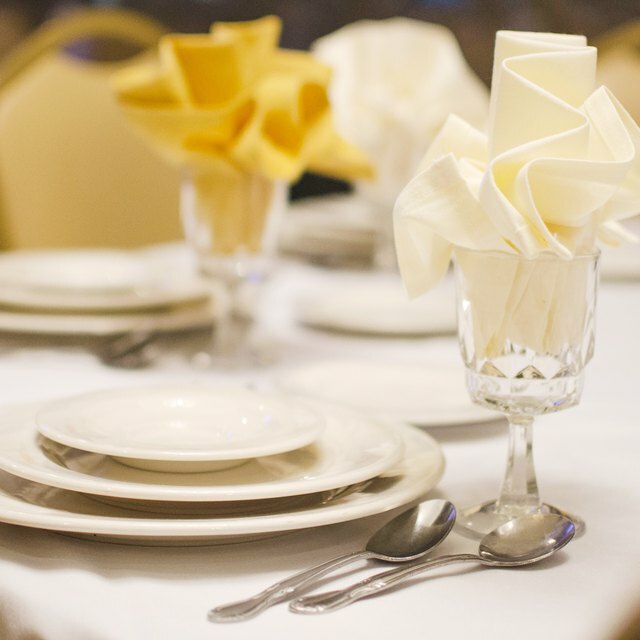 Decorate a table with white linen, cloth napkins, crystal, china and candlesticks. Cook or buy a gourmet meal. Let them enjoy being taken care of and celebrating their love. Many elderly men and women love the company of their friends and loved ones. Throw a celebration party at their house or nursing home facility. Make a big deal out of it. Seventy years together is no small accomplishment. If you are inviting a large number of people, consider catering the event. Make sure you show a slideshow that tells the couple's story. What Are the Duties of a Church Trustee Board?